It's been a while since my last blog entry. I've been extremely busy with multiple university examinations and mechanicing at the weekends, let alone the racing. Since I last wrote in I've competed in the first two weekends of MINI Challenge Cooper Class action. The season got underway at Donington Park with a track day on the Friday prior to the race weekend to get my head back in the game. The test went well, and was confident going into qualifying. 2nd on the grid was the outcome. 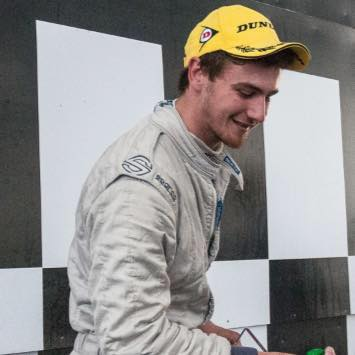 For the first race I tracked Max Bladon, the pole sitter, hoping to make a move towards the latter stages in the race, but in the end couldn't find a way through. The second race of the weekend on Sunday (24th April) was a very exciting affair. Spits of rain and a changing track whilst on slick tyres made it very difficult for whoever was out front. Bladon and I swapped places for the first half of the race, until I caught water going into Macleans resulting in a huge slide and the loss of two positions from the lead. From then on it was catch up. 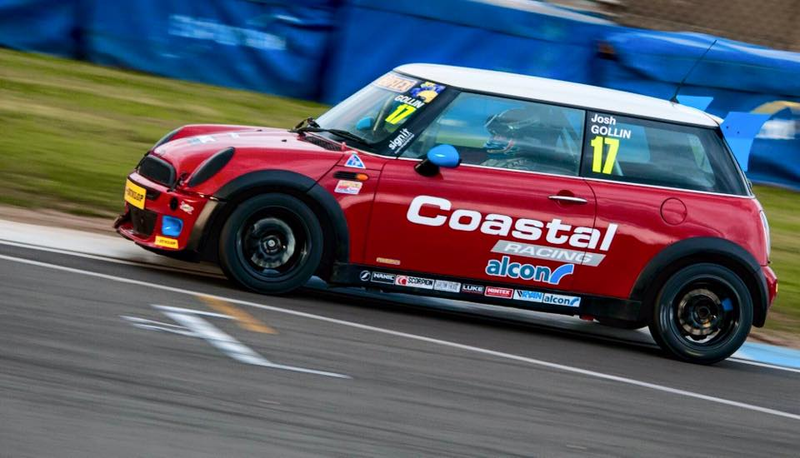 I made a move past Coastal Racing teammate Kyle Reid, making his debut in the MINI Challenge after winning multiple races in the hotly contested Scottish MINI Cooper Cup, and chased after Bladon. By the last lap I was all over him and we crossed the line side-by-side, losing out on the win by a matter of inches. I was gutted, but so pleased at the same time. It was a confusing mixed bag of emotions. This race led to the realisation that something may be up with the car as I was lacking speed in a straight line. The final race of the weekend sees a reverse grid - this time the top 6 was reversed so I started 5th. It didn't take long to get the front - but unfortunately it didn't take Max long either too. In fact he got the jump on me at the start and led by the time the safety car came out just as I was beginning to make the move for second. This cost me a little time, but I got my head down and tried to close the gap, but it stayed at about 2 seconds for the rest of the race. I can't really complain about 3 podiums on my first weekend back, a win would have been nice though! Before the Silverstone race, a little work was done to the engine to try to find some extra straight line speed. It seemed to be better on the test day, and qualifying was okay too. I lined up 2nd on the grid... again. I didn't get a great start off the line but chased the leader in the early stages, before fading in the middle of the race. The car was set up perfectly and nothing changed. That is, except for my speed in a straight line. 3rd and 4th place drivers caught me quickly and drove straight past me. I was a sitting duck. I tucked into the tow and just held on behind them to finish 4th. Saturday night was a difficult one for the team. My engine was found to have had a much larger problem than anticipated and was on the verge of blowing up, so the decision was made to replace it with a standard engine from a road car to see out the rest of the weekend and hopefully score some decent points. Damage limitation it was then. Starting from 4th in race 2 I was struggling for speed but kept consistent and sat in 6th at the back of the lead group, waiting for any action to happen and hopefully make a place or two. Action did happen, but it wasn't to my benefit! The electrics shorted in the car, and with the engine switched off I had next-to-no brakes. I locked up into Maggots, flat spotting my left tyre, and lost a lap whilst fixing the problem. So, I'd have to start from the back of the grid for the final race of the day. In the opening stages I picked off car after car, moving up to 6th place. Unfortunately, I couldn't pull away from the cars behind and a fraught battle ensued. I gritted my teeth and held on to 6th, the car a little battle scarred from some rather ambitious moves by a driver who failed to finish and was later disqualified. A big shoutout to my brother competing in his first race weekend. He finished 7th, right behind me at the line having also finished 7th in the first of Sunday's encounters. I'm looking forward to Rockingham this weekend. Coastal Racing will make the car right, and I'll be at the front again if all goes to plan. I haven't been there before so it will be a good test of how quickly I can learn a track. Bring it on.